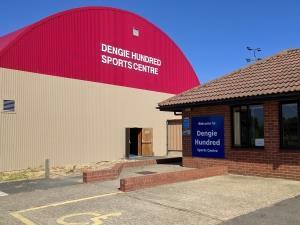 At the newly refurbished Dengie Hundred Sports Centre there are a huge range of activities on offer. From adult group fitness classes to the well equipped gym. There are also a broad range of children's and toddler's activities during term time and during school holidays! During Bank holidays we open for a reduced number of hours. Please contact us for details. There are fantastic value membership packages on offer if you’re a frequent visitor! For full details visit our website or contact reception on 01621 784633.